Brooch in the form of a painter’s pallet. Product code: 1064 Categories: Sold Items, Sold Jewellery. Here is a sensational brooch for any artist out there. 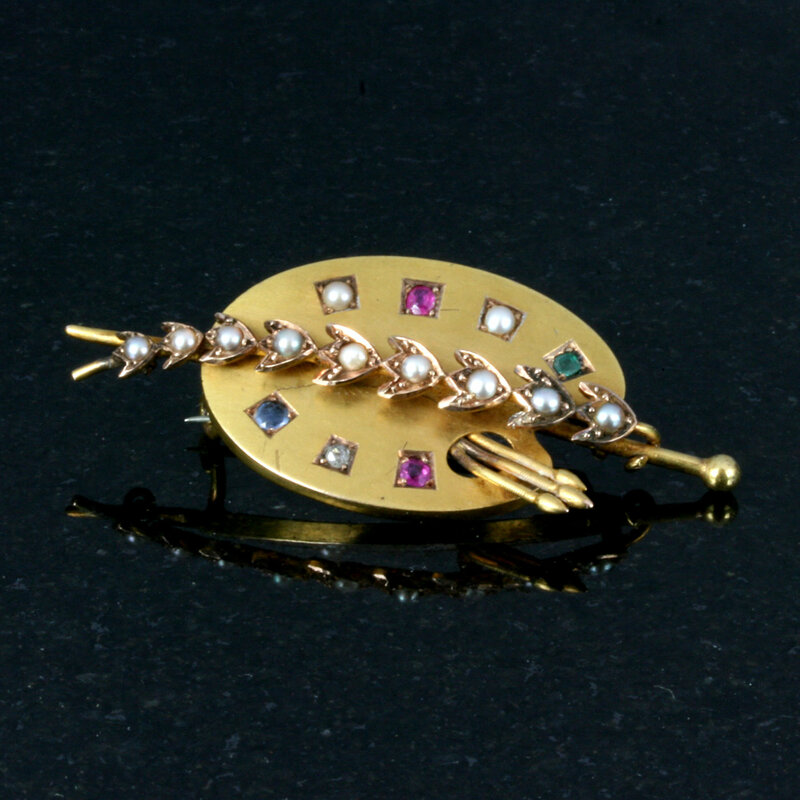 A magnificent 18ct gem stone set brooch styled in the form of a painter’s pallet. Set with 2 rubies , a sapphire, diamond and pearls both on the pallet and across the middle, this exceptional antique brooch dates from the 1900’s and measures 3cm x 2.4cm. If you are after a brooch that really stands out from the others, then this just has to be the one!